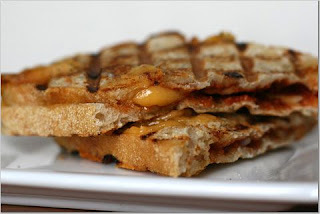 The Gloriousness of Grilled Cheese: Grilled Cheese Day! For those who love grill marks. Booo grilled cheese. We want creepy life debasing art. Oh, have no fear, I'll post some creepy art soon.